Please call if you require assistance with your pets or know of animals in need! We are an animal outreach group assisting owners with animals in Kansas City, Missouri. We provide necessary items in the winter, such as dog houses, hay for the dog houses, food, and crates to bring your animals indoors in the bitter cold. In the summer, we provide necessary items such as: fly spray, flea and tick medicine, fly bags that we hang to attract the flies away from your dog, and ear gel to keep the flies from biting them. Animals that we assist must be spayed or neutered or you must be willing to spay or neuter them. We have financial assistance for those that cannot afford the full price of spaying and neutering. We do NOT support breeding of any kind. Our shelters in this city are full of unwanted animals. We do not need any more being born while this country is still putting over 5 million animals to death every year because there are no homes for them. 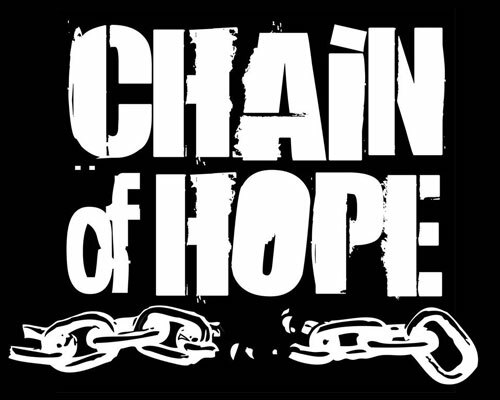 IF YOU GET ANOTHER ANIMAL WHILE YOU ARE RECEIVING SERVICES FROM CHAIN OF HOPE, WE WILL STOP PROVIDING ASSISTANCE TO YOU. Chain of Hope would like to help you take care of your animal. We are primarily here to assist dogs on chains that are kept outside a majority of the time. These dogs are at a high risk of getting pregnant and also suffering from being chained outside in all kinds of weather. Please call if you need assistance with your animal!